Avoid bitter feelings and awkward family get-togethers by following this money-loaning advice. When children and grandchildren need cash, gram and gramps are often the first place they go. Family loans can be easy, no-interest transactions, but oftentimes these loans go un- or under-paid, leaving a wake of bitter feelings and awkward holidays behind. 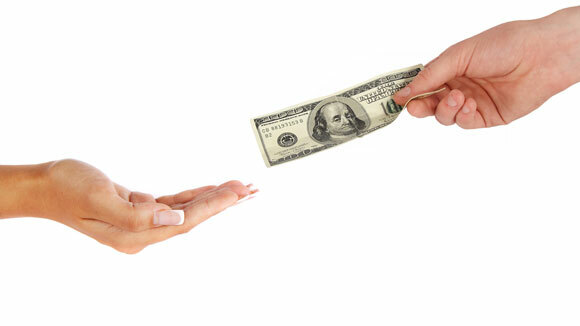 If a relative approaches you for a loan, approach with caution, say the experts. Here’s what you should know about lending to family. Lending isn’t helpful to anyone if it puts you in a bad financial position, says Michael Smith, a Certified Financial Planner with Financial Finesse. Before making a loan, make sure you’re on the right track—with or without the money you’re thinking about loaning. Smith also advises grandparents to choose their borrowers carefully. That means evaluating your relative’s financial need, reason for needing the money, ability to pay you back, and commitment to doing so. If you decide to move forward with a sizable family loan and you really do need the money back, encourage your borrower to consider getting life insurance to cover the loan in case of disaster, adds Smith. Before writing any checks, it pays to know a little tax law, especially if you’re not planning on charging interest. Small loans under $14,000 for 2014 or 2015 probably won’t be on the IRS’ radar, but you could wind up paying taxes on interest-free payouts above that amount. One way to sidestep gift tax is by charging interest on family loans, says Beth Kobliner, author of the upcoming book Make Your Kid a Money Genius (Even If You’re Not). Applicable federal rates vary depending on the length of the payment period, but the federal government generally keeps the rates significantly lower than what banks and lending institutions charge. You can find the most current rate at irs.gov. One exception is if you’re lending money for education or medical expenses. Education and medical expenses that are paid directly to an institution are exempt from yearly gift tax limits. If you’d like to make a no-interest loan to relatives to pay tuition or hospital bills, you can avoid gift tax by cutting the check directly to the school or institution. Setting clear expectations by outlining an agreed upon loan amount, interest rate, payment schedule, and back-up plan if payments can’t be made on time will help sidestep problems before they start, says Smith. You’ll also need a signed promissory note to prove to the IRS that you’re making a real loan and not a gift masked as a loan. If you need a little help creating a promissory note, search the web for a free template or head to nolo.com to download a pre-written one. Even relatives with the best intentions sometimes can’t pay back family loans. In those cases, address the issue head on and come prepared with ways that you can change the structure of the loan to make everyone happy, says Smith. That may include temporarily postponing payments, changing from a monthly to a quarterly payment system, or reducing payments by extending the life of the loan. One way to prevent sour feelings is to give the money instead of loaning it if you can afford to, says Kobliner.